In the run up to Safer Internet Day (5 February), schools across Hampshire, Isle of Wight, Portsmouth and Southampton have been invited to take part in the Police and Crime Commissioner’s Cyber Ambassador scheme. The Cyber Ambassador scheme enables skilled-up, informed pupils to educate and offer advice and support to their peers on staying safe online. To ensure the scheme tackles topical online issues, and is delivered in a way that is engaging and relevant for young people, the training package and supporting materials were developed by members of the Police and Crime Commissioner’s Youth Commission. 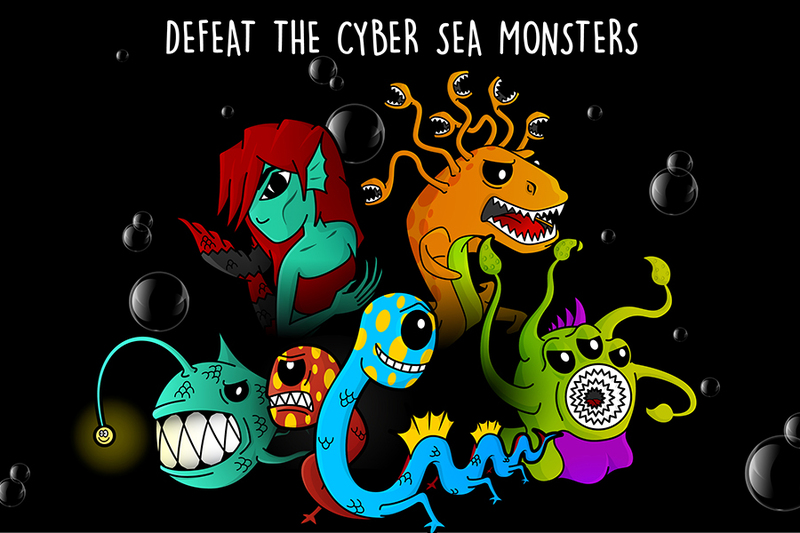 Under the programme primary schools learn how to stay safe and defeat cyber sea monsters Selphire (selfies) Meanataur (cyberbullying), Angler (searching), Info-Eator (privacy) and Bi-Diphorus (befriending). The scheme is based on learning through activities and uses top trump cards for each Sea Monster to reinforce the learning around each individual danger and the actions that can be taken to protect yourself and others. One pupil at Medstead school in Alton, which was one of the Cyber Ambassador pilot schools, said: “I think it is a really interesting to be taught about e-safety by someone our age, we haven’t done this before. The sea creatures are really interesting and it is not boring as it does not have lots of stuff to read but also activities to do”. For secondary schools the Cyber Ambassador scheme covers issues such as sexting, cyber stalking and grooming. The delivery of the programme is through a combination of digital tools and group activities. More information about the #GoFish campaign and the Cyber Ambassador scheme can be found here.